Happy Labor Day weekend, it’s almost here! Mission Repair will be closed Labor Day, but we’re still here Saturday and Sunday, 10:00 am to 5:00 pm local time. Rather than laboring at work, at home, or in the yard, a lot of consumers put their energy toward some serious bargain hunting on this special day. We’re here to help! Come on down to one of our locations or place your order online and use coupon code “LABOROFLOVE” for a 15% discount on your new repair order now through Sunday 9/6/15 at midnight. If you are stopping by one of our walk-in locations be sure to print off this blog and present it to your customer service representative. We hope you get to relax on Monday, fire up the BBQ, go to the lake, stay in to clean the house or do whatever makes you happy. But if you’re looking to save on that next iPhone, Mac or tablet repair, now is the time. Our “Got Repair” Benefit Is Reaching New Heights! We have hit a momentous number at Mission Repair and that number is 5,000. We have been able to save over 5,000 people some hard earned cash with our Got Repair program in a little over 1.5 years! What is our “Got Repair program”? Its as simple as this: If you have your broken device repaired with Mission Repair, you will never pay full price for the same repair on the same device again! You already know your iPhone or iPad is not all that durable. You just saw it crack before your very eyes. So if you have it repaired, you know full and well that you have a chance of damaging it again. Imagine walking into a repair center, having your iPod Touch screen repaired, dropping it on the way out and re-cracking the screen. This has actually happened and this is where the Got Repair program comes into play. That customer had to pay just a fraction of what they just paid to have it re-repaired. Of course we offered if up for free in this instance (we felt bad) but the customer declined and paid the Got Repair price. With that explanation of the Got Repair program, look at this number one more time…5,000! There have been over 5,000 people that know, not only can you drop and crack your device once, but twice, if not three times! So why not cover yourself here? We are not talking insurance, we are talking a massive discount, just for being our customer. There is no deductible, no paper work and no extra charge. It comes automatically with your Mission Repair service! Keep in mind, we are talking about physical damage here. You already have awesome warranty coverage with Mission Repair, but add on to that accidental damage. Its the very reason we are called the intelligent choice by many people. It just makes sense choosing Mission Repair for your repair needs. Got Repair is attached to each one of our services, so you can bet we have you covered on whatever you need repaired! So, here’s to another 5,000 customers that we can help save time, money and sanity with! This coming Sunday we will be having our very first company picnic! I know, I know…how could we be in business this long and never have a picnic? I really don’t have a good answer for that other than its either too hot or too cold to do anything outdoors in Kansas. We have decided to take a chance this year and it looks like it will pay off. With a high of only 78 degrees, things are looking good for the festivities. We are using this picnic to make up for our lost 6 months of Olympic events for 2013. This year, we are sending one of our lucky employees to Key West for some fun in the ocean. We have 6 different events that range from just plain scary, to just plain stupid. That mixed with some great KC BBQ and cold Coke, we are going to have one heck of a time! Because of this, we will be closing a little early on Sunday (3:00pm), so please call (866-638-8402), chat or come in before then to have your iPhone, iPad or Android serviced or any questions answered! 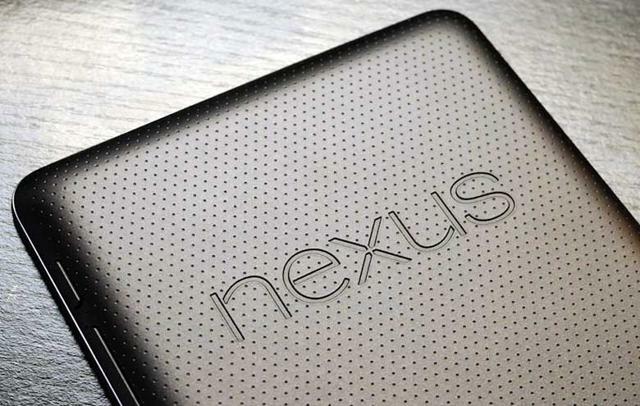 Did you know that we repair the Google Nexus 7? This is a certifiable fact! We are one of the only repair centers in the country to offer this service and we want to make sure current and potential Google Nexus 7 owners know we are here for them. So click here: Google Nexus 7 Front Glass Screen Repair Service to start your repair experience today! Don’t forget, you can always call us at 866-638-8402 with any questions! New Service: LG myTouch E739 Front Glass Screen Repair! 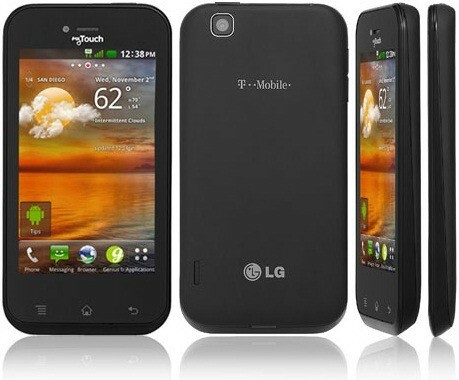 Say hello to the LG myTouch E739! This handsome smartphone is the newest device that we service here at Mission Repair. I love this phone for one simple reason, It comes in my favorite color MATTE BLACK! It is HSPA+ Capable, has a 1GHZ processor, sports a 3.8″ touch screen and runs Android 2.3. It has received a lot of favorable reviews and is a worthy device for the Mission Repair family! Starting at this very moment, you can place your order for the LG myTouch E739 Front Glass Screen Repair online or give our newest Customer Service team member, Mathias, a call at 866-638-8402. He is by the phone ready to take your calls!